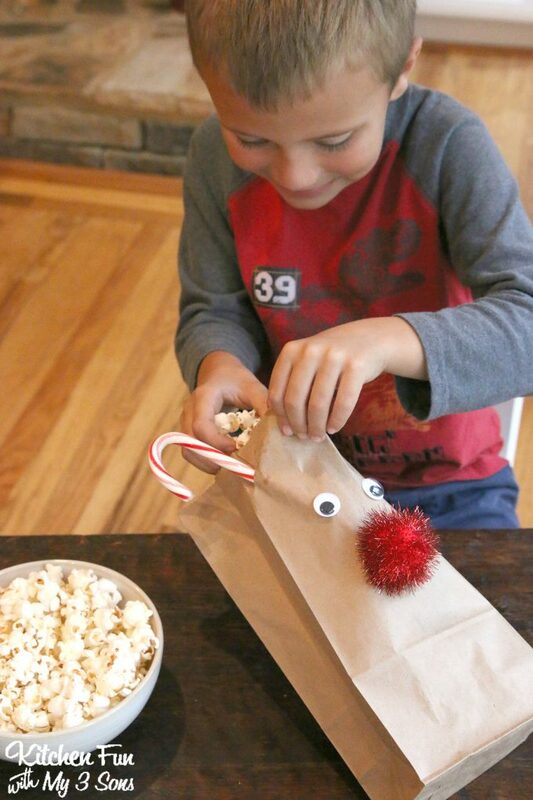 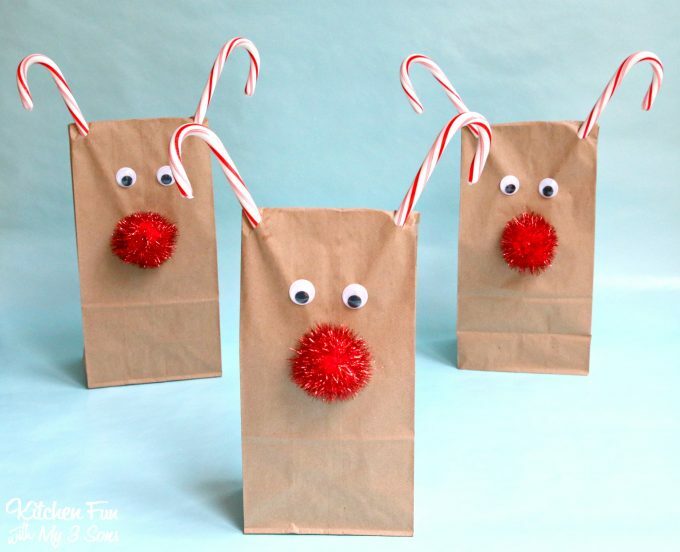 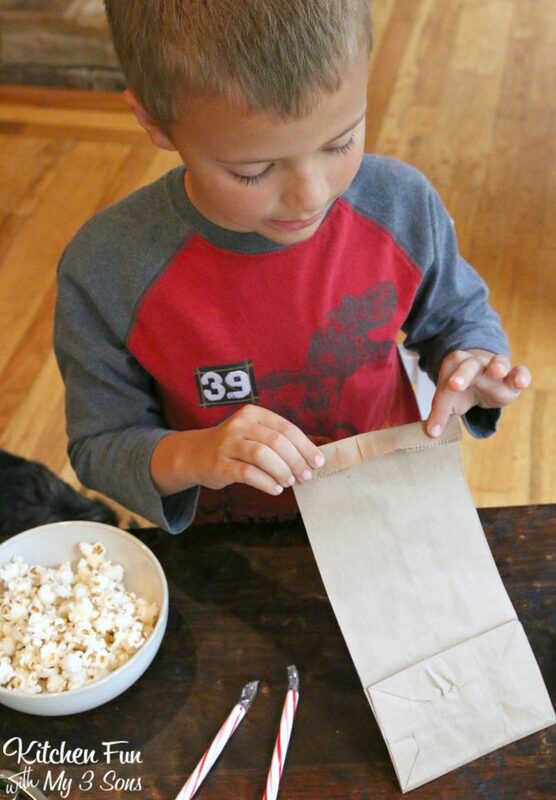 We made these fun Reindeer Treat Bags to share with you today! 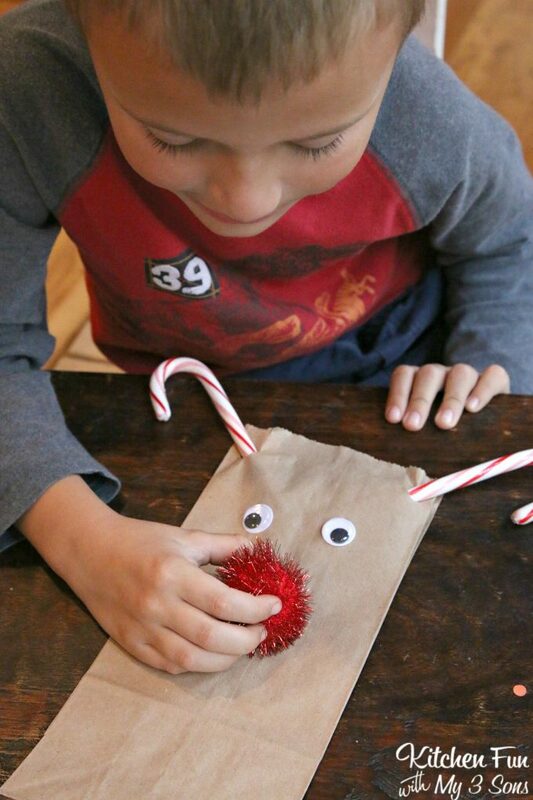 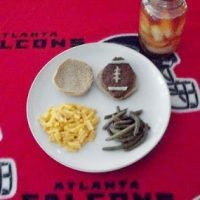 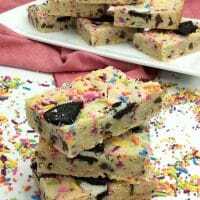 These are are fun & easy to make. 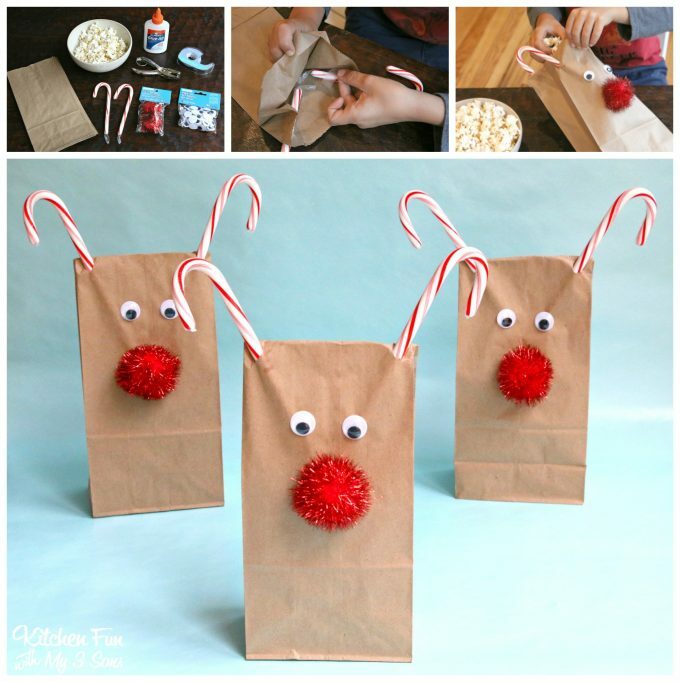 You can fill them up with popcorn or treats for the kids at Christmas gatherings or class parties at school! 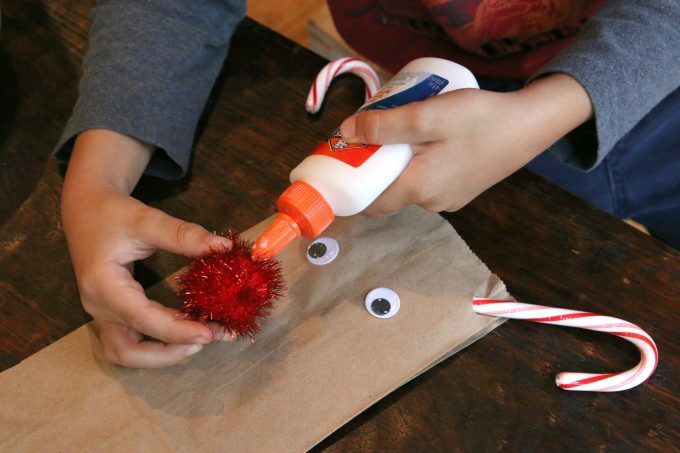 This is a fun Holiday craft that the kids can create all by themselves! 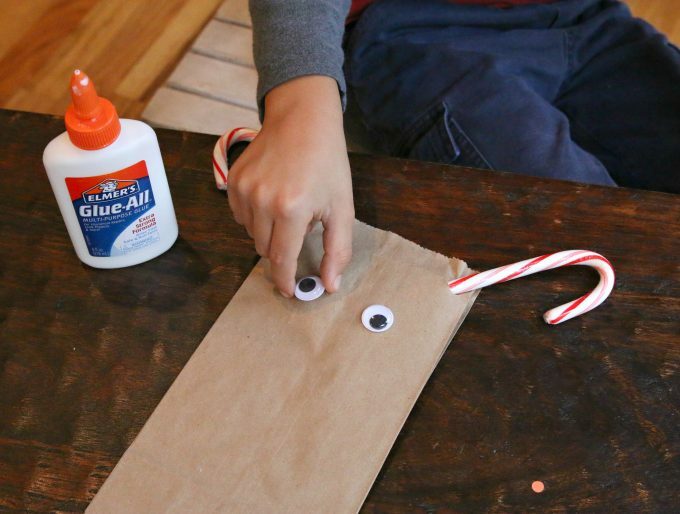 Flip the folder part back up and make a hole on each side right under the crease…. 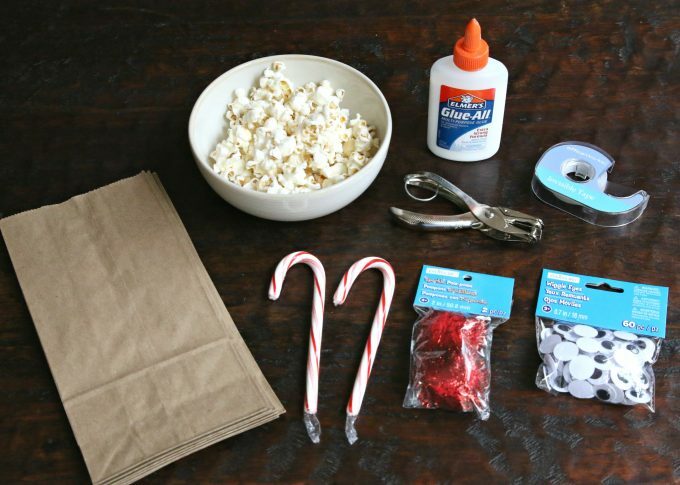 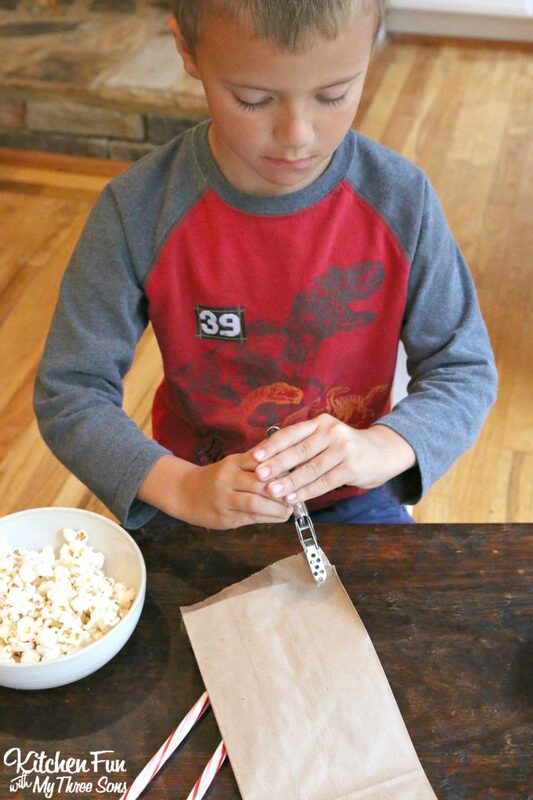 Open up the bags and then tape the bottoms of the candy canes at an angel like this…. 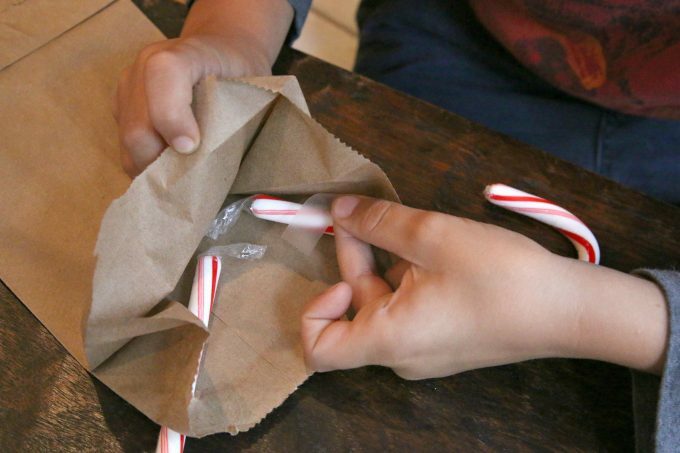 Fold the top and now they are ready for the Kids! 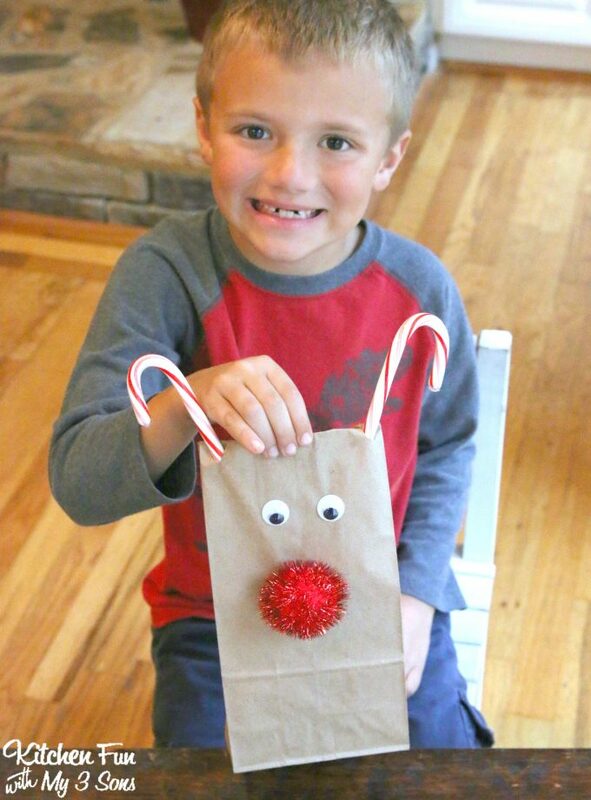 My 6 year old had so much fun making this Turkey Treat Bag! 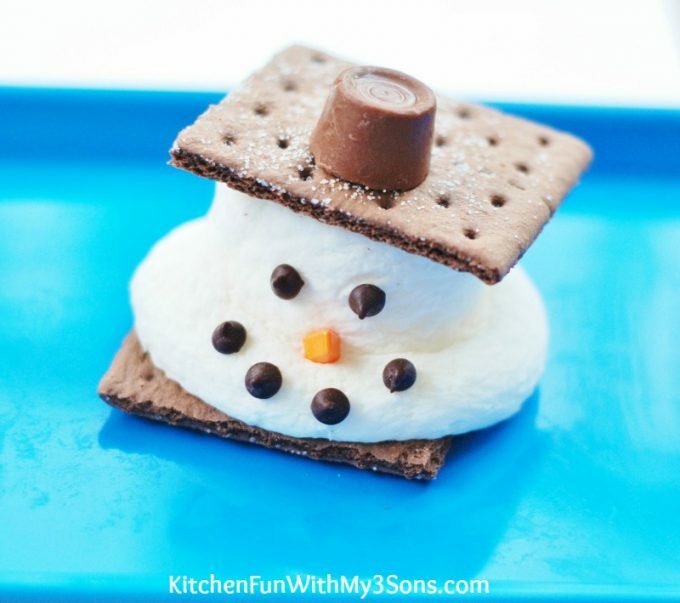 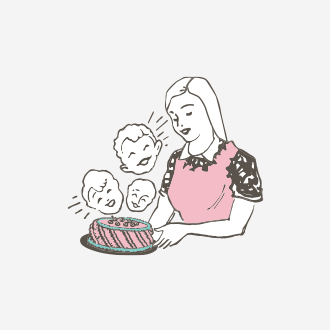 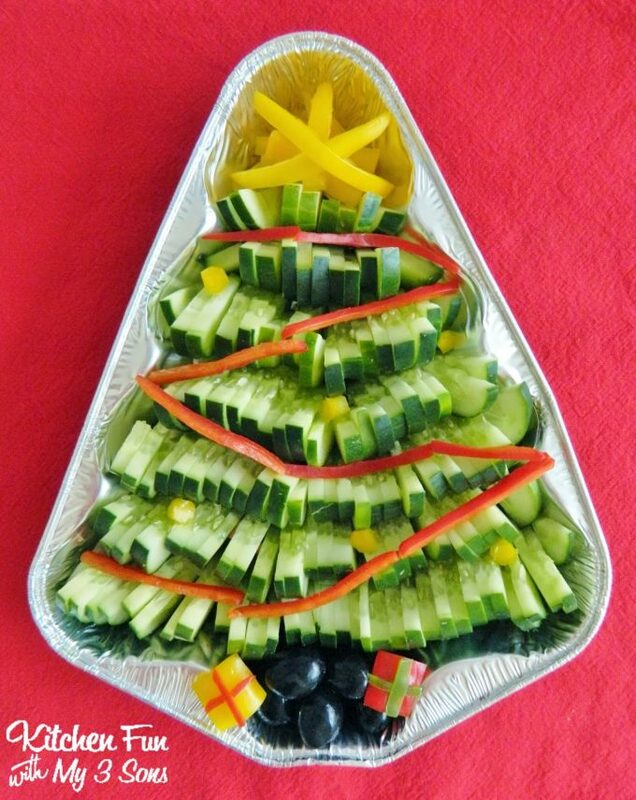 Take a look around our site for adorable Christmas craft ideas, yummy Holiday recipes, and cute food ideas! 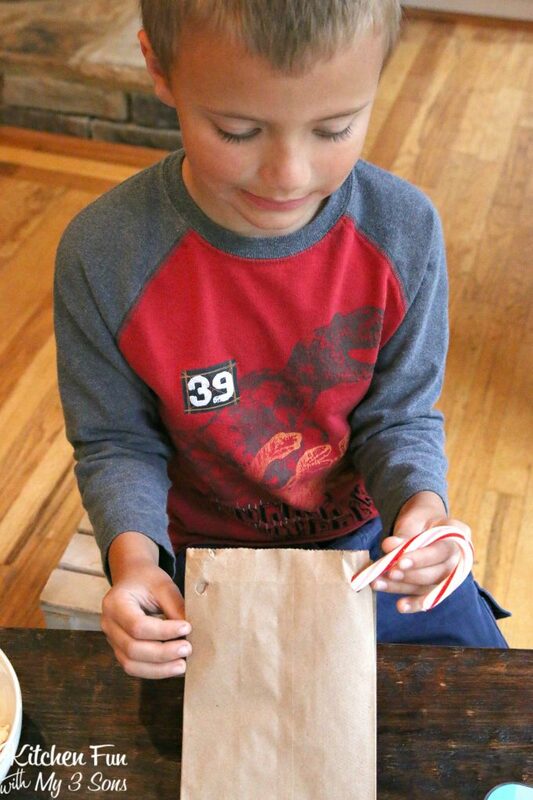 You can find all of our fun Christmas ideas HERE!